Many of us have experienced that sinking feeling after dropping an expensive smart phone on the asphalt and realizing that the screen is shattered. That heartbreak may be a thing of the past due to research out of the University of Akron: a new transparent electrode material that makes the screen virtually shatterproof. There has been a huge push in nanomaterial research with the aim of finding a replacement for indium tin oxide (ITO), which is the material from which transparent conductors that control screen pixels are made. One of the problems with ITO is that it’s a relatively scarce resource, and with the market for tablets and smart phones exploding, that scarcity has become more acute. This market shortage, combined with the brittleness of ITO-based screens, explains why a variety of nanomaterials have been given a “market pull” opportunity rather than merely a “technology push” prayer. 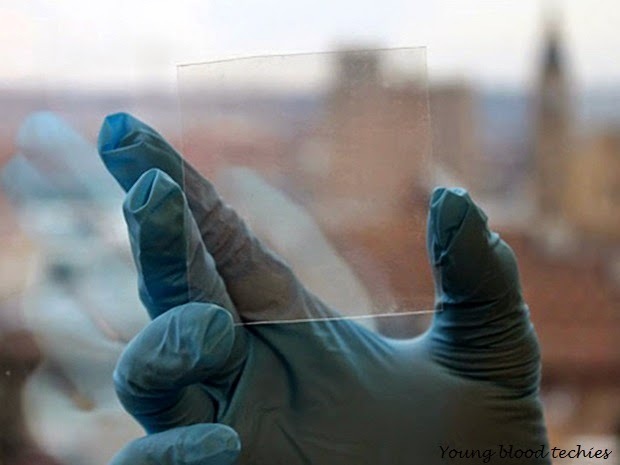 Xu and his colleagues published their results in the journal ACS Nano; the paper describes the process they used to create their transparent film. They started with conductive metal films (copper, in this case) on which they patterned transparent metal nanowire networks with electrospun fibers as a mask. Then, with the metal nanowires, they fabricated transparent electrodes on both rigid glass and polymer (polyethylene terephthalate (PET)) substrates. The researchers claim that both the transmittance (the amount of light that passes through a material) and the sheet resistance (a measurement of a thin film’s resistance to electrical current) of the metal nanowire-based electrodes they have developed are better than ITO-based electrodes. Two years ago, Samsung made a transparent conductor from graphene, and there are a number of companies already out there—like Cambrios, and Blue Nano, to name a couple—that are marketing silver-nanowire-based transparent electrodes. If this copper-nanowire-based transparent electrode solution is going to be the next ITO, it’s got a lot of competitors fighting for the same role.